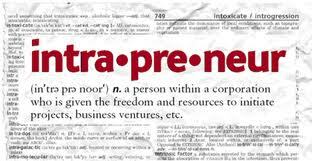 I love the concept of an intra-preneurship! It could be the perfect middle ground for people who don’t want to leave certain aspects of begin a part of a big company, but really want the chance to create something for themselves. We think it is definitely one of the top macrotrends in business for the next decade.